If there is any magic trick that Teller (the silent half of magician duo, Penn & Teller) is famous for, it would be “Shadows”. The trick entitled Shadows, is “essentially consists of a spotlight trained on a bud vase containing a rose. The light falls in a such a manner that the shadow of the real rose is projected onto a white screen positioned some distance behind it. Teller then enters the otherwise still scene with a large knife and proceeds to use the knife to dramatically sever the leaves and petals of the rose’s shadow on the screen slowly, one-by-one, whereupon the corresponding leaves of the real rose sitting in the vase fall to the ground, breaking from the stem at exactly the point where Teller cut the shadow projected on the screen behind it.” Have a look at the video performance below. Integrity-less magicians have been copying acts from top magicians around the world and have gotten away with it. However the successful lawsuit against a copycat Belgian magicians Gerard Dogge have given a new light to the topic. Dogs confused by a magic trick! It was reported that celebrity psychic, host and judge on NBC’s Phenomenon, Uri Geller, was requested by Malaysian officials to assist on the MH370 Investigations. According to Uri Geller, he has been using “remote viewing” to discover the whereabouts of the Boeing 777 plane. Remote viewing (RV) is the practice of seeking decipher images of people, locations, places and objects in a mental capacity, without any foreknowledge of the subject. Just before that, a high profile bomoh Ibrahim Mat Zin was in the news for performing a ritual at the Malaysia airport. ‘Bomoh’,the Malay word for Shaman, has its roots to Sanskrit mantera (mantras) owing to the ancient Hindu-Buddhist influence. While others have their mysterious claims, ATOM have a list of the possible supernatural outcome that any airplane may have. 1) Close-Up Magic (or Street Magic or Roving Magic) which perfect for virtually all events with intervals, cocktail reception, etc. 2) Area Magic (or Parlor Magic, Mini-Stage Magic) which is perfect for a small/medium size group. 3) Stage Magic which is common for large events. Next, have the entertain(s) done similar events? For high-scale events, there is zero-tolerances to hiccups; pictures and videos can deceive your decision process. Always request for a previous client contact number just to be sure. Most clients are happy to put in a good word for an entertainment they enjoyed very much. Such clients excludes, private home parties and birthday events. Lastly, not all entertainers dressed up to the nines for all events. 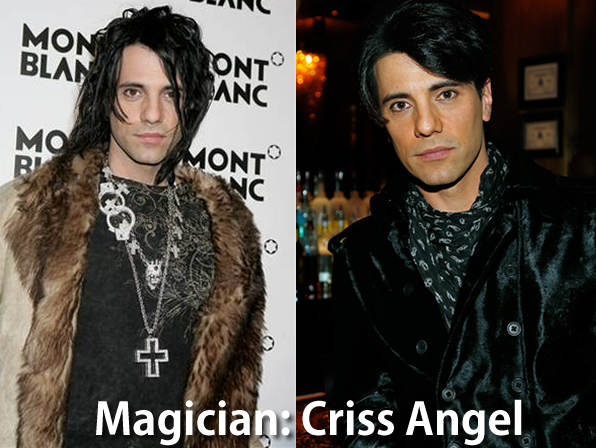 They may have a ragged look like Criss Angel. Nevertheless, a professional magician will have always something for the occasion. Very often, the price is an indication of quality. Newbie magicians have NO overhead as they have NO office, NO staff, NO… you get what I mean no standard to get high volumes of shows. As Darren Ho mentioned, artistes get paid for the countless amount of practice hours put into practicing hard and squeezing [customized] rehearsal at short time from point of engagements to ensure quality is delivered. 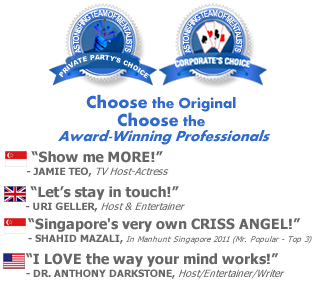 Bottom-line is choosing the right entertainers can help build your event. Speak to your favorite booker/agent/organizer or directly to ATOM’s friendly staff and they will guide you everything you need to know to ensure your event goes smoothly and to fit in the right entertainment. One of the most commonly requested tricks to perform is to 1) conjure up money and 2) to make thing disappear. In the video below the magician will perform both of the tricks at the same time — disappearing money! Plus, the secrets of the trick will be REVEALED too! Magic Mike is a 2012 American comedy-drama film directed by Steven Soderbergh and starring Channing Tatum, Alex Pettyfer, Matt Bomer, Joe Manganiello, and Matthew McConaughey. The plot revolves around Adam (Alex Pettyfer), a 19-year-old who enters the world of male stripping, guided by Mike Lane (Channing Tatum), who has been in the business for six years. 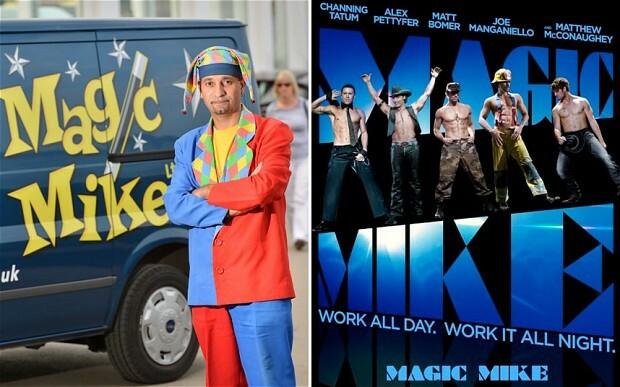 The Telegraph reports on a British children’s entertainment, Magic Mike, and how his client’s perspective have changed after the released of Hollywood blockbuster about male strippers. From Vegas to Macau (Chinese: 賭城風雲), also known as The Man From Macau (Chinese: 澳門風雲), is a Hong Kong-Chinese crime comedy film directed by Wong Jing and starring Chow Yun-fat, Nicholas Tse, Chapman To and Jing Tian The film is the fourth installment of the God of Gamblers film series where Chow reprises his role as the titular protagonist once again since 1994’s God of Gamblers Returns. The film was released during 2014 Chinese New Year. – Source Wikipedia. 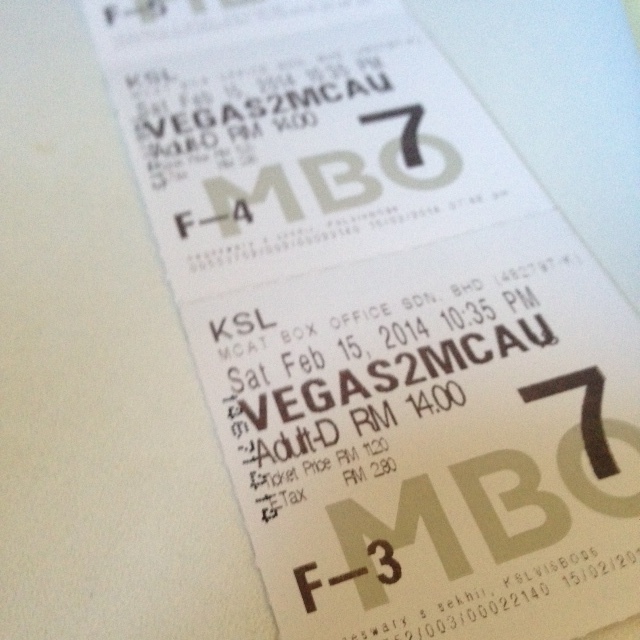 “God of Gamblers” movie fans will love this movie. Don’t worry if you have not watched the “God of Gamblers” because it is not a squeal to it. Only the last 10 seconds of the movie will make sense if you did. During the standoff dual between “Ken” 石一坚 (played by Chow Yun-Fatt) and Mr. Ko (played by Gao Hu); hand doubles were used during the visual displays of complicated card shuffling. Such complicated card shuffling are known as Card Flourish.